On a Tuesday back in late July, long before I decided to start this blog (well, a few weeks before), I was on holiday in the New Forest with my family at my in-law’s park holiday home. Faced with yet another long evening spent watching the dreaded Cyril and Cybil Squirrel show at the site’s clubhouse, I’d decided enough was enough. I needed of a way out. I simply couldn’t take any more of those damn squirrels! It was just getting too much for me. I’d even started to find myself humming the songs the squirrel’s (and of course their good friend Pat the Pony – yes, really) sang at random points throughout the day. In public. And loudly. Surely I was only one step away from full-blown madness! Thankfully – and to my surprise – when I suggested to my wife that I might go and watch a local football match that Tuesday evening, rather than spend another couple of hours surrounded by caffeine-fuelled hyperactive kids and over-enthusiastic talking squirrels (and a pony) she agreed to the idea. Or at least she didn’t say no. Not really. Not in so many words. Anyway, to cut a long story short, I got permission. Kind of. 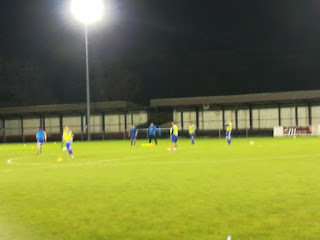 It was actually on that holiday, in fact at the exact moment that I decided to go and watch a match that Tuesday evening, that I decided I would spend this season groundhopping around Non-League grounds. The idea for this blog, however, didn’t come until the morning of the first match of the new season when, purely on impulse, I decided to start one. So, in a weird way, you can even blame Cyril and Cybil Squirrel for these ramblings. Anyway, back to the point. 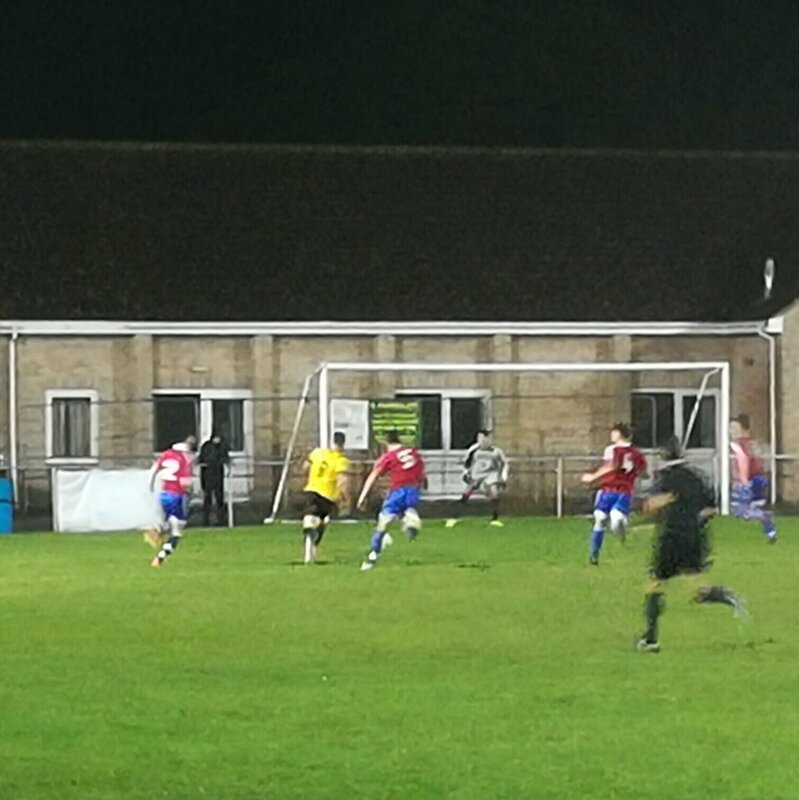 On that particular baking hot Tuesday, I noticed that Brockenhurst FC and Bashley FC (both local to my in-laws holiday home) had pre-season friendlies at their respective grounds that evening. Unsure of which match to attend, and unsure how to conduct Twitter polls at that stage in my social media-career, I instead decided to flip a coin to decide which match to watch. 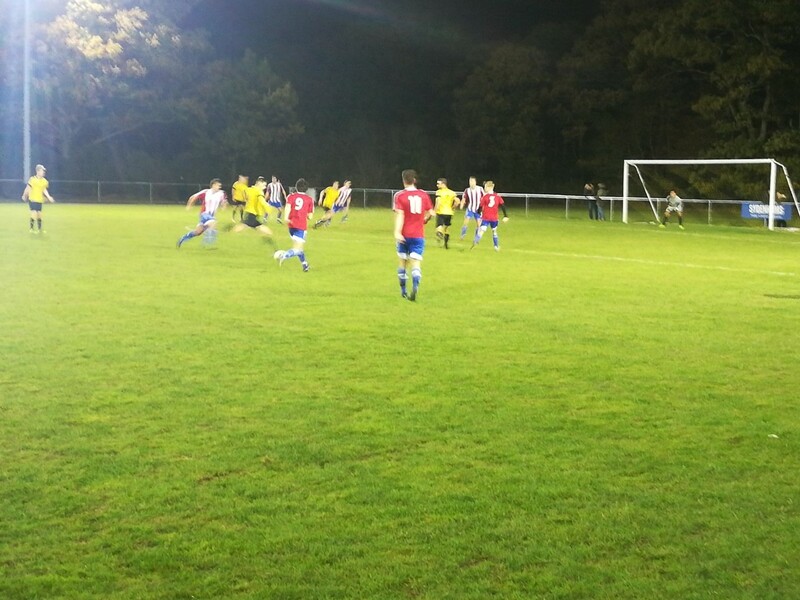 Brockenhurst ultimately won that coin toss (and indeed the ensuing match 7-1), but I promised myself that the next time I was down in the New Forest, should Bashley be at home, then I’d go and watch them play. Fast forward nearly four months and I’m back in the New Forest. Although not on holiday this time. I’m there in my other guise as a children’s author, visiting some schools in the area to talk to the children about mybooks (and hopefully sell a few copies as well). Upon booking the visit during mid-October, one of the first things I did was to check whether Bashley were due to be at home while I was scheduled to be there. They were. 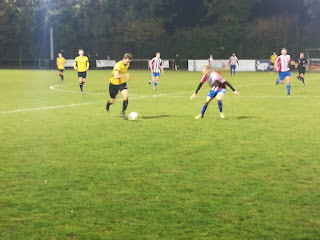 And so it was that at just before 19:00 on a dark and windy Tuesday evening, I find myself pulling into the cricket club car park located opposite Bashley’s Bashley Road Ground, to watch The Bash take on Colden Common Development Squad/Reserves in the second round of the Southampton Senior Cup. After a brief moment of concern regarding the fact that there were no floodlights on for a match that I wrongly believed was due to start at 19:30 (it was actually 19:45), I was quickly assured by a steward that there was indeed a match on, it’s just they try to keep the costs down by using the floodlights for as little time as possible. Prudent. 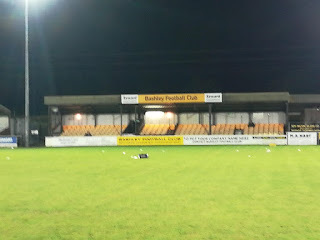 Having therefore arrived at Bashley Road a little earlier than needed, and paid my £5 admission fee (no program unfortunately), I headed to the clubhouse for a fresh-out-of-the-oven sausage roll (delicious) and a mug of coffee (which came in a mug which could easily have doubled as a small jug). Noticing that the Liverpool game was on the TV I settled down to watch a bit of it. A bit being the optimum word. Five minutes into the second half I decided that I’d be eating by sausage roll alfresco this evening! 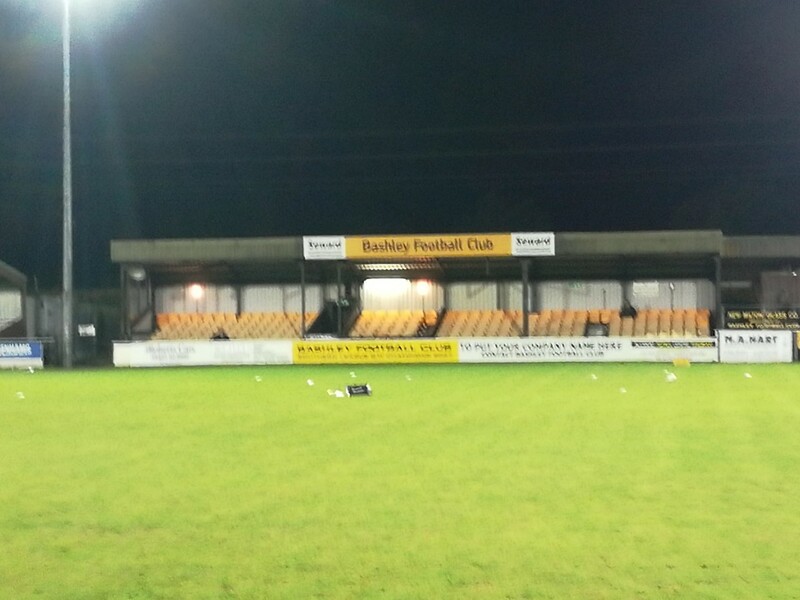 Bashley Road is a lovely little ground located on the edge of the New Forest. It is dominated by three stands on one side of the ground – one seated main stand, and then two fair-sized covered terraces next to it, although only one was open. The game itself was a fairly one-sided affair, with The Bash dominating long spells of the game against their development squad opponents, which also (I’m led to believe by other spectators) featured a few reserve and first-team players. 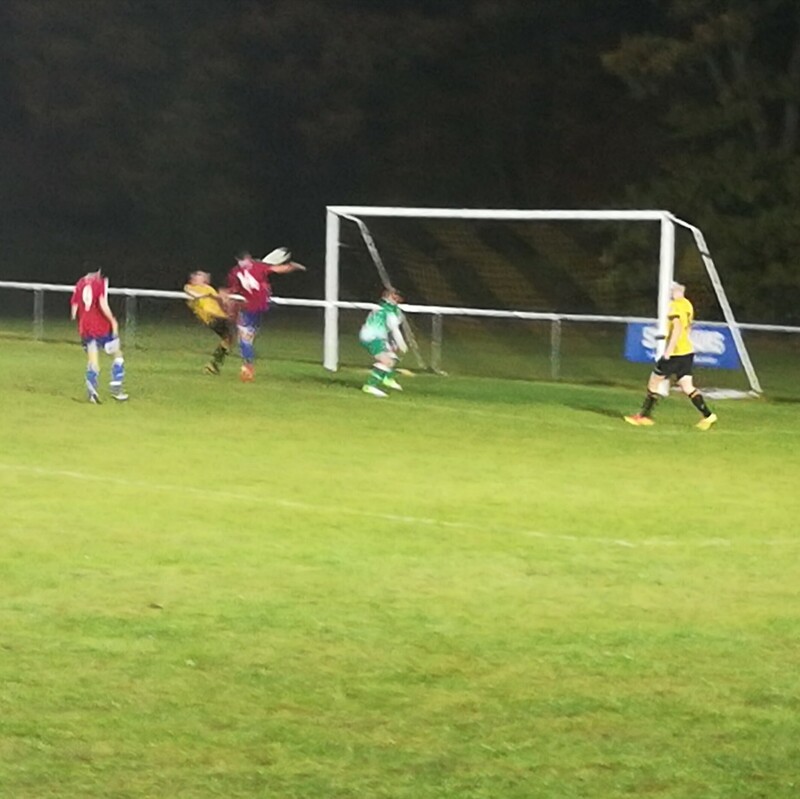 When the hosts took the lead just a few minutes in, Hugh Dathan heading in from close range after a floated Harrison White free-kick missed all the players and struck the cross bar, it appeared only a case of how many they would score. 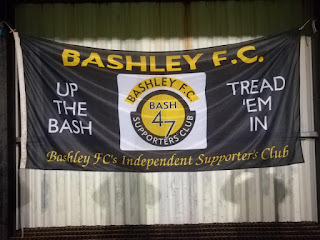 Bashley forced a succession of corners which the visitors looked far from comfortable at dealing with, but despite some good chances they were unable to add to their lead (see videos for some missed opportunities). At the other end, Colden Common looked fairly lively going forward and fashioned a few half chances which showed that they might just be able to capitalise on any Bashley complacency. For the visitor’s, Luke Maurin particularly caught the eye, and certainly looked like he would be Common’s main hope for a route back into the game. Somehow the visitors managed to get to the interval just a goal behind. During the half-time break, the wind picked up and the rain started to lash down, causing me and other supporters to seek solace under one of the aforementioned covered areas. However, any chance of a comeback was quickly extinguished minutes after the restart when Dan Munday went through the Common defence like the proverbial hot knife through butter and calmly finished past the keeper. 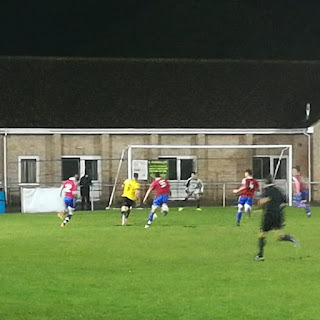 This goal sparked off a few more songs from Bashley’s small but fairly vocal band of supporters who were stood in the terraces near where I was standing. There may have only been a handful of them, but they kept me entertained when the action on the pitch flagged with some interesting ditties. It was three not long after, when Jamie Webber slotted home from just inside the area. At this point it seemed the goals would start pouring just as fast as the rain was pouring from the night sky. 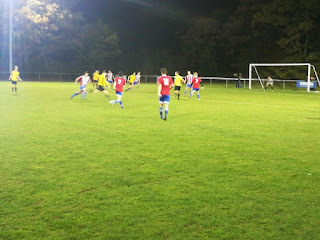 To their credit, though, The Common boys bounced back and gave themselves a glimmer or hope of salvaging something when Maurin’s cross was poorly dealt with by the Bashley keeper, and substitute Maciet Marcinkowsk was presented with an easy chance to force the ball home from close range. 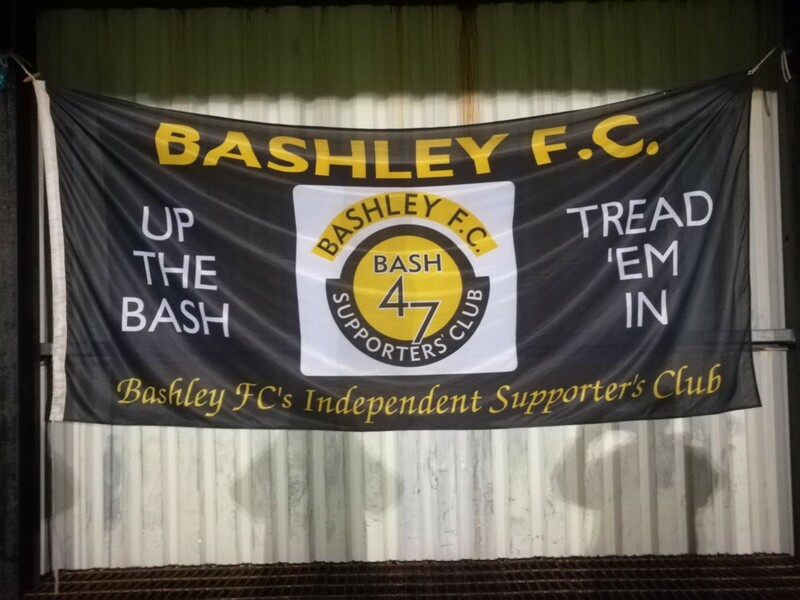 This prompted a period of pressure from the visitors, and Bashley started to look a little wobbly for the first time all evening. Had Common forced a second at this point, then the last 15 minutes could have been very interesting. However, a high and reckless lunge from Costa Soupmendis with about ten minutes left, led to the visiting player receiving a straight red, to nobody’s great surprise. In fairness to him, the pitch was extremely slippery by this point, and there had been a few mistimed and niggly fouls from players on both teams throughout the match, but there’s little doubt that the referee made the right decision on this occasion. In injury time, The Bash completed the scoring when substitutes Mike Okubote and Brogen Sims combined well in the area, with the former crossing for the latter to stoop a headed effort past the keeper and into the net. 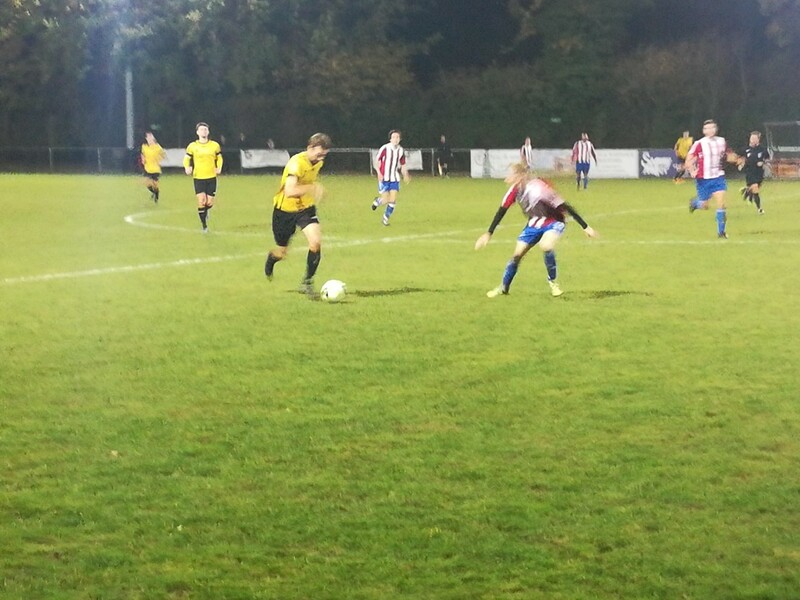 So it is Bashley who advance to the next round of the Southampton Senior Cup. 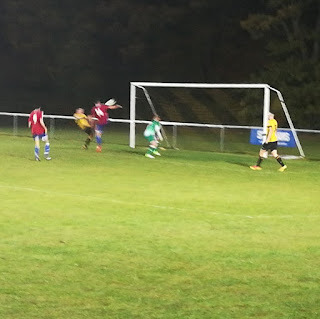 It may have been a wet and windy evening in the New Forest, and a fairly one-sided match, but at least there were no talking, dancing squirrels anywhere in sight!